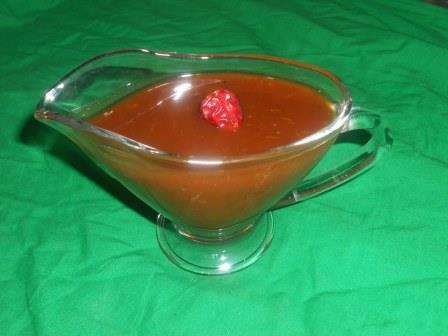 Imli Ki Chutney is one of the sauce/dip which can be eaten with almost every dish. With pakoray and samosy it is best combination. It is an integral part of gol gappay, chat, aloo-chanay and a variety of savory snacks alike. You can use it with Fried Fish, Seekh Kabab. Home made chutney is also good for health. 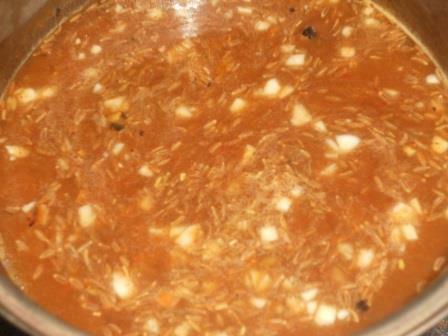 It is not a tough recipe, there is no many ingredients in this recipe, it is very simple and easy. This imli chutney is slightly thick with a smooth texture. It has the sourness of imli balanced with the sweetness of the sugar and the earthiness and mild hotness coming from the ginger, cumin and red chili powder. 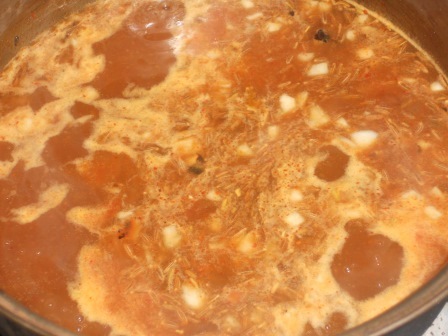 It has the sourness of imli (tamarind) balanced with the sweetness of the sugar and the earthiness and mild hotness comes from the cumin and red chili powder. Soak and put the Imli in warm water for some time for Imli to be soft. Remove seeds and strain it. 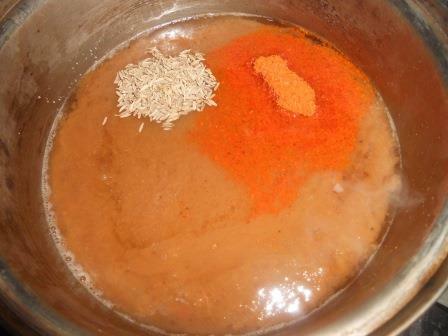 In a pan add the imli pulp, sugar, Red Chilli powder, Cumin, Salt, Garlic, and Ginger. Boil till the paste thickens and consistent. Let the mixture cool. For storing use a air tight jar. If you want to store for future use then use an airtight jar and keep it in fridge. To make it more sweeter then sour, you can add more sugar. 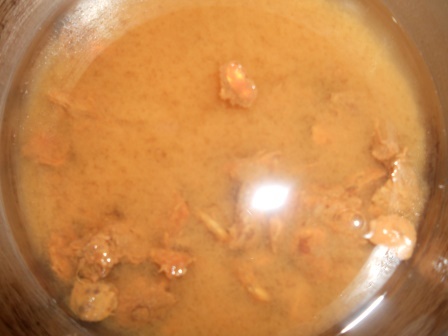 If you are conscious for sugar then jaggery (Gur) is alternative solution and different taste.